The Hobos of Hobo Junction Have Been Found! I was riding the train today and remembered a bit of the ride that always caught my mind whenever I first rode the ride: Hobo Junction. As many on these forums probably already know, Hobo Junction vanished during the construction of Outlaw Run. I always wondered what happened to the hobo figures. Were they off in storage somewhere in the park? Were the reused as props somewhere in Fire in the Hole or the Flooded Mine? Well, the answer to my question was answered after a Google search tonight. I found these photos on Tumblr. Whenever Outlaw Run was built, I kept trying to get a glimpse to see the hobos while on the ride though soon gave up because that ride goes by so fast. I'm happy to have found photos, even if they may not be the best, of the hobos of Hobo Junction. 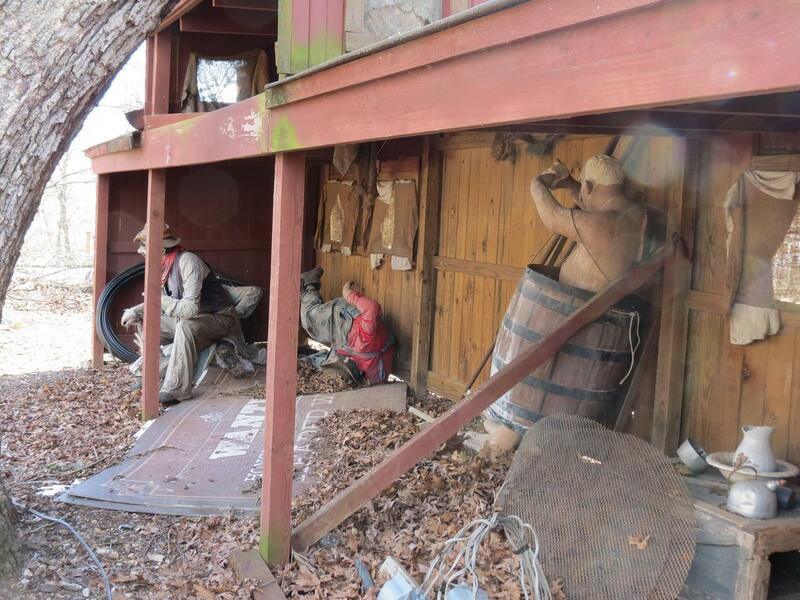 I hope someday the hobos are put back in place whether on the train or as decor somewhere else in the park. Does anyone else have any photos or found any photos of Hobo Junction? Do you think Hobo Junction will ever be restored? Also, was water actually showering the bathing hobo? For some reason I remembered this. And were these hobos still set up during the holidays? Sorry, so many questions. I hope y'all enjoy my Google findings. Re: The Hobos of Hobo Junction Have Been Found! The hobos are gone and will not be back. 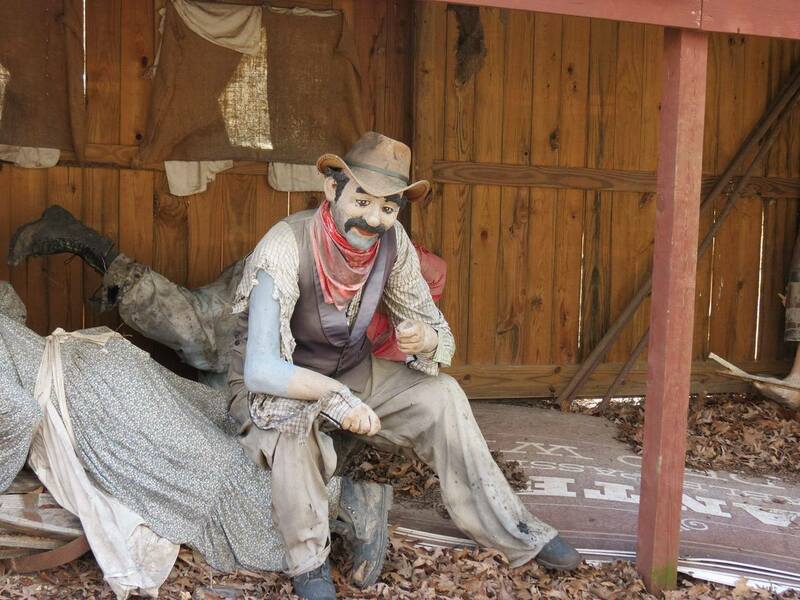 Most of the hillbilly/non-PC jokes and theming have been cleaned from the park. Even the guns are going bye-bye. This discussion caught my attention because I happen to be the person who took those photos. They are not really that old. To be precise, they were taken in March 2016. I had a nice little talk with the hobos that day. They are doing fine and just want to be left alone. Actually, they have not moved very far away. So, I promised not to reveal their secret hiding place. I guess depends on your definition on “not ... very far away” — let’s just agree they’re nowhere near the park anymore or even Taney County. I guess depends on your definition og “not ... very far away” — let’s just agree they’re nowhere near the park anymore or even Taney County. Let's just say that they were in the park in 2016. Evidently, you have seen them elsewhere since then. I hope they haven't been mistreated. They are in good hands, and being treated well. Actually better than they were at the time you saw them. Can't really give out any more specific info than that. We don’t agree on much but I do concur 100% with this statement. And yes we unfortunately cannot provide any more information than what we have already said. I get so very tired of history being buried because it doesn't fit the sensibilities of too many overly-sheltered folk today. I found you on YouTube a couple weeks ago and have been watching a lot of your videos, by the way. I love your channel.